Includes place fork, place knife, salad fork, place spoon, and teaspoon. 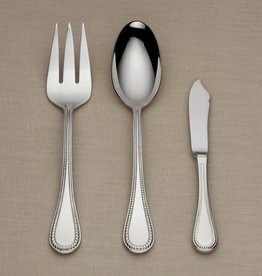 The flared handles of this classic-yet-contemporary flatware are trimmed with stitched detailing. In dishwasher-safe, tarnish-resistant stainless steel.